PinkyPiggu: 海底捞火锅 HaiDiLao Hot Pot @ Clarke Quay ~ A Place Which Pampers, Entertains & Satisfies! 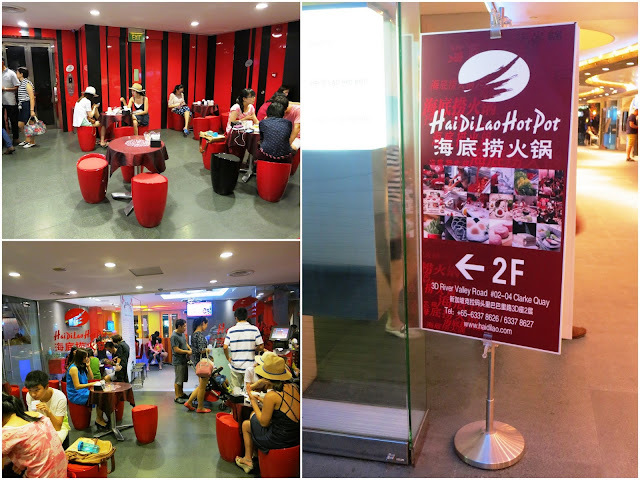 海底捞火锅 HaiDiLao Hot Pot @ Clarke Quay ~ A Place Which Pampers, Entertains & Satisfies! You realized you're getting on in age when Saturdays need not be 'happening' anymore. There's no need for a day filled with activities or late night suppers, all I wanna do is curl up in bed with a book, or do some blogging. But when my friends asked me out for dinner, there's no reason to say no right? Feeling a bit lazy though lol, but still, I made my way to Clarke Quay, where the rest of the girls were waiting for me to have a steamboat meal. But this time round, it's not just any mediocre, eat-all-you-can buffet-style steamboat. We were going to have 海底捞火锅 HaiDiLao Hot Pot, which has been garnering rave reviews for their excellent service and quality food! 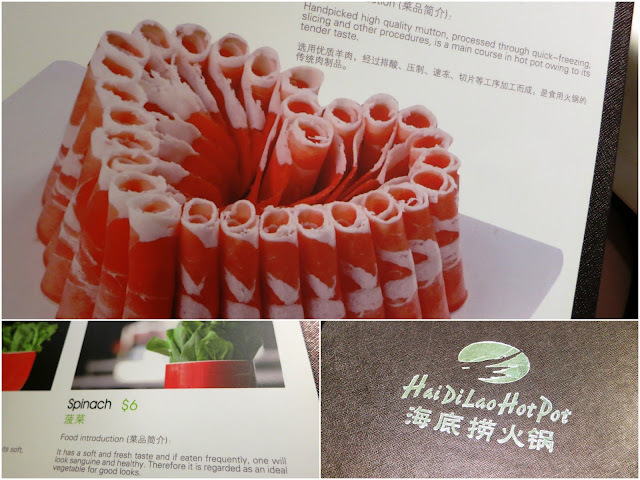 海底捞火锅 HaiDiLao Hot Pot is a highly popular restaurant chain in China, with origins in Sichuan province, established since 1994. After 19 years and numerous outlets, it finally opened its first overseas branch in Singapore, choosing the very vibrant Clarke Quay to anchor its presence. I didn't have much difficulty finding the place, though it's situated at the 2nd level within the row of restored shophouses facing the riverside (opposite The Central). Just keep a lookout for HaiDiLao signage and take the lift behind it to up where the dining area is located. One would have thought that being without a ground level shopfront would put the restaurant in a locational disadvantage, but once you stepped out of the lift, the crowd will prove you wrong. I was greeted by tables and tables of customers! No, they're not having their meal yet, but still holding their queue number in the designated waiting area. Strangely, most of them do not look impatient as expected, and I soon found out why. 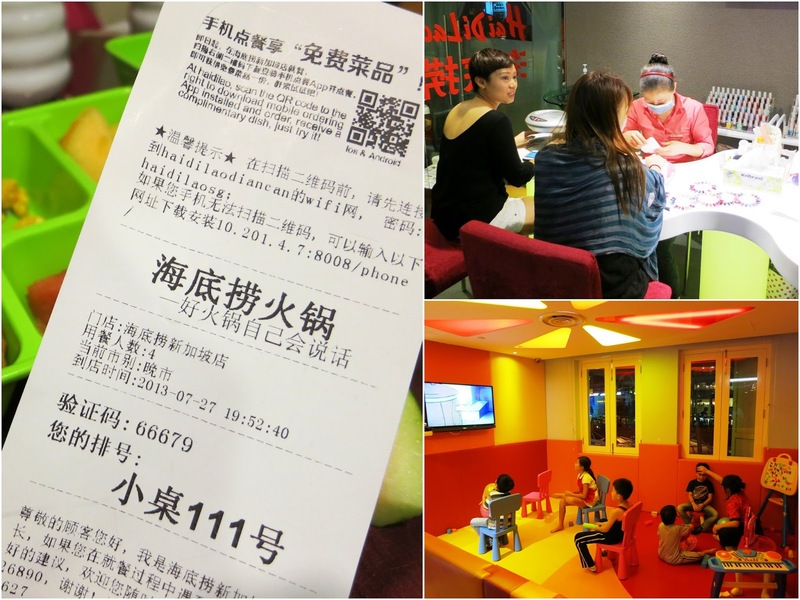 HaiDiLao pampers the customers with a slew of free activities to keep them occupied while they wait! It's common to have restaurants providing beverages to queuing customers, but never have I seen one which has gone to the such extent as HaiDiLao. From providing manicure service, refreshments such as fruits, chips, popcorn and tea, to boardgames, crane-folding challenge and even a entertainment area for the kids, it's all on compliments. HaiDiLao brings the chore of queuing to a bearable level. Orders can be made through the iPad but if you feel uncomfortable with that, there's always waitresses around to assist. I keep flipping through the menu book, not because I'm indecisive about what I want, but because the pictures of the beautifully plated ingredients really captured my attention. Just look at the above picture of the sliced mutton arranged in a heart shape, isn't it lovely? We were also quite amused by some of the food introduction and had a good time laughing over it. Definitely ordering the spinach because "It has a soft and fresh taste and if eaten frequently, one will look sanguine and healthy. Therefore it is regarded as an ideal vegetable for good looks." Lol!! Opting for a Double Flavor Pot means that we can try two different soup bases at the same time. 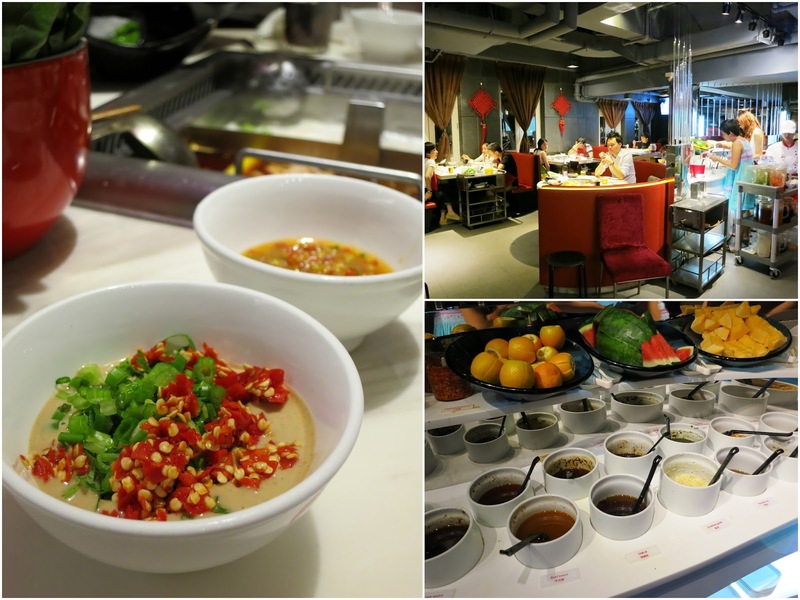 Sichuan cuisine is known for their spiciness so a definite soup base to try is the Sichuan Spicy (Mala 麻辣) soup. What is described as "mellow"and "not too spicy" on the menu is totally an understatement as the fieriness of Sichuan peppercorns stimulated my tongue with bolts of pleasurable tingling sensation and numbing it soon after. HOT and SHIOK, I like! The other choice went to the recommended Chicken soup which highly pleased us too. The server ladled us a small bowl each as the pot was brought to our table, so that we can taste and appreciate the already intense and flavorsome broth in its purity, before we start dunking in all our fancied ingredients. Other soup base of flavors include Tomato, Mushroom, and Seafood. After a mixology session of our preferred dipping sauce from the self-service condiments counter, we were ready to attack the food! But first, let's put on the red aprons that was distributed to us to protect our clothes from splashing sauces. So considerate of HaiDiLao! The ingredient list is very extensive with a good variety of meats, vegetables, seafood and noodles for a satisfying meal. What I thought to be the more uncommon items which you don't see at those run-out-of-mill steamboat buffet places includes Beef Tripe, Duck Gizzards, Chinese Bullfrog Legs, Pork Intestines and Pork Skin. 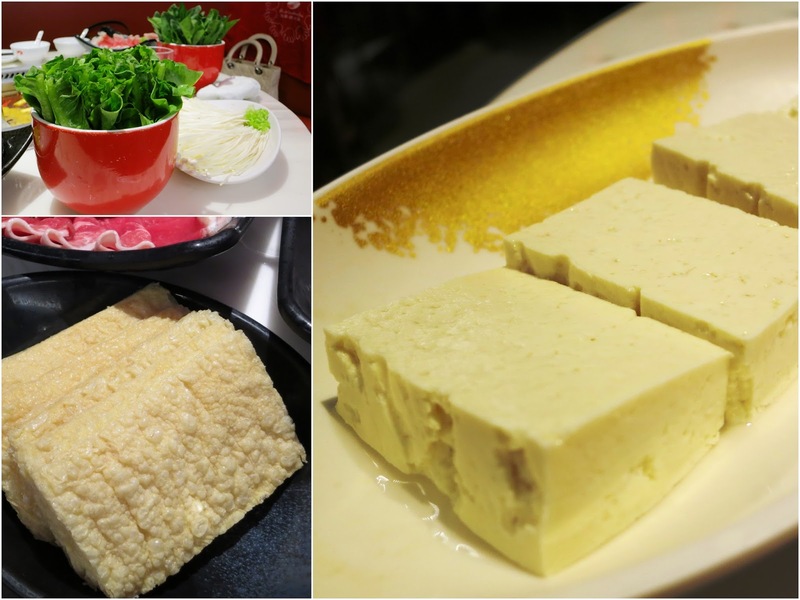 There is also an assortment of handmade items like Mashed Shrimps, Beef Balls and Cuttlefish Cakes with Spinach Juice. 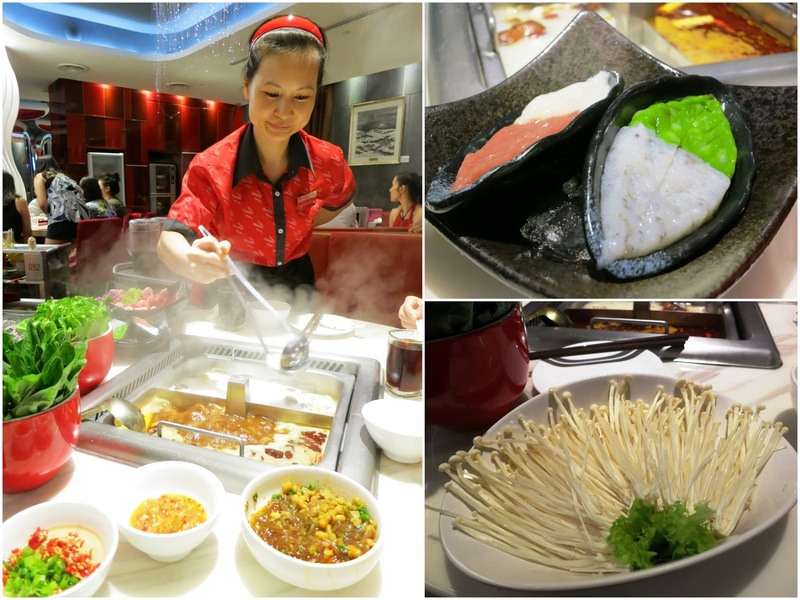 What we ordered were not so adventurous, sticking to our usual favorites of Black Pork, a platter of Sliced Beef and Lamb, Soon Hock (fish), Homemade Tofu, Fried Tofu Skin, Golden Mushroom, Indian Lettuce, Spinach and an assortment of Mashed Meat. I was told that the Soon Hock is very reasonable priced at $26, almost the same as what you would pay at the wet market. I can't say the same for the vegetables though, which I feel are a tad over-priced. I mean, would you pay $6 for a portion of coriander? I wouldn't! Service was extremely efficient and the ingredients were brought to our table in no time. Beautifully presented like what we've seen on the menu, all of it passed the most important criteria: They were all very fresh. I thought my favorite would be the beef slices but that evening, the black pork won with its delicate taste and tenderness. I will just dive into more plates of these for my next visit. Not to be missed is the Handmade Noodles which was made right before our eyes. 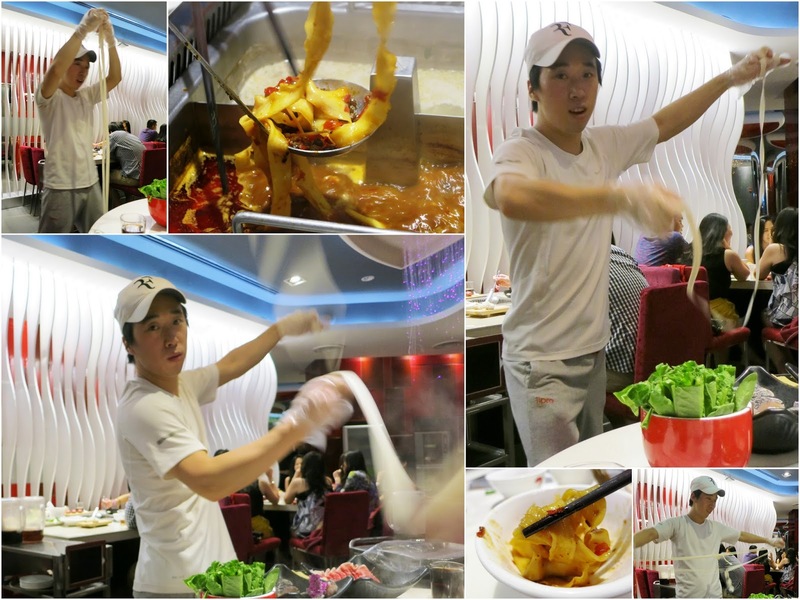 The noodle master came up to our table and started performing his 'noodle dance' much like a smooth gymnastic ribbon routine, flowing with grace as he stretched and twirled the dough into noodles. So entertaining lol! Table to table he went flitting with his rhythmic moves, we wondered how many times he has to do it each night! But it is not just all-show only. The ban mian-like noodles was highly enjoyable for its springy chewiness texture and went delightfully well with the Sichuan spicy broth, so much so that we ordered it twice! We also ordered Hot & Spicy Rice Noodles, a famous Sichuan dish of glutinous rice vermicelli which gratified our palates with its refreshing sour and spicy notes. Total bill came up to S$183.60 after taxes, which is comparatively much more than what I usually would pay at an average steamboat buffet place. Portions were enough to satisfy the rest of the girls, except me who was craving for chicken rice after that. I can't imagine how much we need to spend if I come here with BFF and Cow with their voracious appetite. But then again, what we're paying for is quality over here. Towards the end of the meal, my friend asked me: "So, this beats staying at home right?". Haha yes, definitely! Thanks for bringing me to HaiDiLao which Pampered us with great service, Entertained us with 'noodle dance' and Satisfied our tummies with delicious food! Great evening with you girls! Felt like Imperial Treasure Steamboat. Pretty expensive but as long is nice is worth it. wah very expensive, but as long as its nice, its worth it.